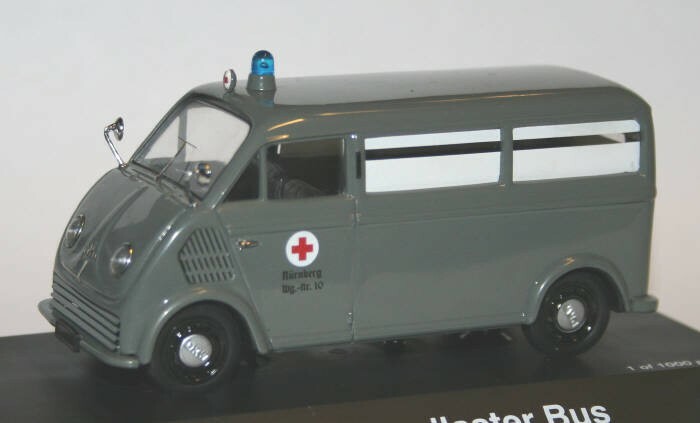 This model of a DKW Snellaster was make by Schuco in the schale 1/43. It was use as a Ambulance in the German City of Nürnberg. Added by Roger Greenaway on 10 May 2010.